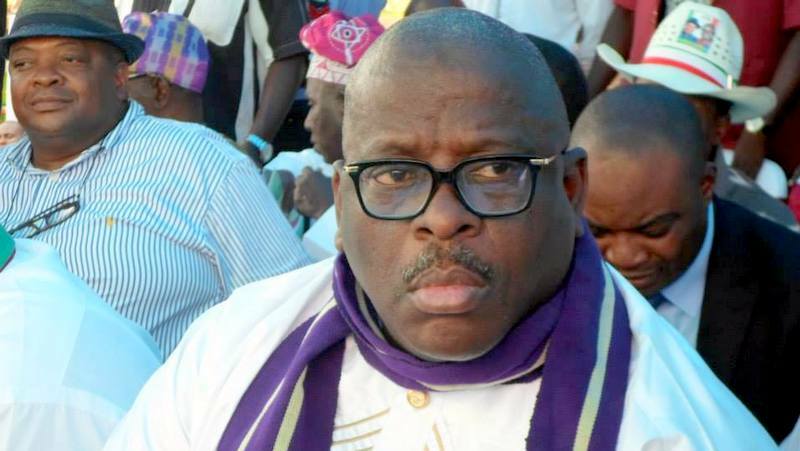 The Federal High Court in Abeokuta, Ogun State has refused the application of a member of the House of Representatives, Oladipupo Adebutu and others seeking to prevent the Governorship candidate of the PDP in Ogun State, Senator Buruji Kashamu and others from being joined as “necessary and interested parties” in a suit pending before the court. Adebutu and others had filed the suit in which they are asking the court for an order of mandamus to compel the Independent National Electoral Commission (INEC) to publish their names in place of the ones already published by the Commission. When the matter came up, counsel to Kashamu and others, Prince Raphael Ajibola Oluyede, informed the court that his clients who were the candidates whose names had been published by INEC were interested in the matter but were not joined, hence, they had filed an application as interveners who were willing to be joined. But, counsel to the Plaintiffs, Mr. Afolabi Fashanu (SAN) objected to the joining of the applicant/interveners. After much arguments, the court, as presided by the Honourable Justice Abubakar Shittu held that the applicant/interveners were necessary parties that should have been joined. Consequently, the court joined them. Thereafter, Oluyede informed the court that they had filed an affidavit disclosing that the Plaintiffs and their collaborators were parading themselves as candidates of the party while they were still before the court praying to be declared as candidates. He added that they plan to hold a rally where they would be paraded and flags presented to them as candidates of the party even when INEC has not published their names and for which reason they were before the court. Oluyede submitted that such an action could lead to a breakdown of law and order and render the case before the court nugatory, if the court did not intervene, adding that the Police had already summoned an emergency security meeting based on the tension being generated by the matter. He prayed the court to direct the police not to grant any permission for a rally where flags would be presented to Adebutu and others. Alternatively, he urged the court to declare that if such a rally must hold, it was only those whose names had been published by INEC as the authentic candidates of the PDP in Ogun State that should be presented as candidates of the party in the state. Fashanu opposed the prayers, saying they were speculative. Ruling on the prayers, the court held that where the issue of a potential breakdown of law and order was raised, it has a duty to look at it and take steps to prevent it, adding that the Rule of Law was the basis upon which INEC and the parties conduct their activities. The court held that where the Rule of Law was jettisoned, it would result in the break down of law and order such as being raised by the applicant. The court then directed the parties in the matter (i.e. the plaintiffs and the respondents) and their counsel to refrain from being used to foist a fait accompli on the court or cause a breakdown of law and order. It also directed PDP not to hold anyone out or present anyone as candidates except those who names have been published by INEC pending the hearing and determination of the suits before it, stressing that anything done contrary to the position of the law would be contemptuous and could lead to the breakdown of law and order.